ADAMS, MARY ELECTA, educator and poet; b. 10 Nov. 1823 in Westbury, Lower Canada, daughter of Rufus Adams and Maria Hubbard; d. 5 Nov. 1898 in Toronto. Of New England descent, Mary Electa Adams moved with her family to Adamsville (Acton), Upper Canada, when she was two years old. There she grew up, receiving tuition from her parents before starting her formal schooling in 1840 in her mother’s home town, Montpelier, Vt. A year later she transferred to the Cobourg Ladies’ Seminary in Upper Canada and stayed as a teacher after acquiring her diploma of mistress of liberal arts. Adams moved to Toronto in 1847 with the school, henceforth known as the Adelaide Academy, but a year later accepted the position of lady principal of the Picton Academy. 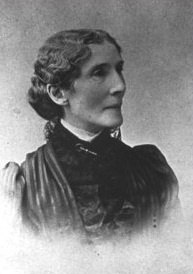 Resigning on grounds of ill health in 1850, she then spent four years as a teacher and administrator at the Albion Seminary in Michigan. She returned to British North America in the spring of 1854, and that August took up the position of chief preceptress of the newly established “female branch” of the Wesleyan Academy at Mount Allison in Sackville, N.B. [see Charles Frederick Allison*]. As chief preceptress, Adams occupied the highest administrative office in the school open to a woman. She functioned essentially as a principal even though nominally reporting to Principal Humphrey Pickard*, whose main duties were at the adjoining institution for boys. Women, Adams believed, should be offered a rigorous academic education in a Christian setting and Mount Allison became a testing-ground for these principles. Although she accepted that social convention dictated most educated women would make their contribution to society as wives and mothers, she was impatient with the notion that their education should be limited to “ornamental” subjects of study. “The introduction of the abstruser sciences into a course of study for females,” argued an editorial in the Mount Allison Academic Gazette of December 1855 (unsigned, but clearly bearing Adams’s imprint), “is of the highest utility.” Both in the curriculum of the new institution – which included courses in mathematics, the sciences, Latin language and literature, and moral philosophy, as well as the possibility of studying music and fine arts – and in the advice and example she offered to students, Adams sought to advance the principle that intellectual vigour, artistic achievement, and moral strength should be inseparable as characteristics of the educated woman. The death of Adams’s father in May 1856 led her to contemplate leaving Mount Allison to assist in caring for her ageing mother at her home in Upper Canada. Yet a strong sense of service to “the cause of female education” and to Methodism led her to retain her position for another year. “I dread the idea of living uselessly,” she wrote in her journal on 20 July 1856. She did resign in the summer of 1857 to return home but her retirement from her profession lasted only four years. In the autumn of 1861 she became the first principal of the Wesleyan Female College in Hamilton. During her seven years there, despite financial problems faced by the institution and the difficulties of teaching in an imperfectly converted hotel building, Adams established a high academic reputation for the school. Her scholarship and her administrative abilities were, reported Hamilton’s Canadian Illustrated News in June 1863, “the life of the institution.” Having developed a curriculum based upon her experience at Mount Allison, and possibly influenced also by her visits to women’s schools in Great Britain during the summer of 1862, Adams bequeathed to her successor, Samuel Dwight Rice*, in 1868 an institution that would continue to prosper for almost 30 more years. The last 12 years of Adams’s professional career were spent as lady principal of the Ontario Ladies’ College in Whitby. Despite her disappointment at having to accept employment at a school that she had regarded as a major competitor of Brookhurst, and despite early disputes with the president, John James Hare, to whom she reported, Adams strove at Whitby to advance her characteristic principles of systematic and rigorous instruction in a Christian environment. When she retired in 1892 she was almost 70 years of age, but nevertheless she spent her remaining years assisting Augusta and their nephew Lucius Coleman in establishing cattle ranches at Morley (Alta) and on the nearby Red Deer River. She died in late 1898, while visiting relatives in Toronto. During her life Mary Electa Adams had been a determined and effective advocate of academic education for women. A painter and poet in her leisure time, she exemplified that combination of trained intellect and creative artistry which, always in the context of her Methodist faith, she endeavoured to foster in her students. Her efforts bore fruit not only in their effect on individual students but also in advancing the general cause of women’s education in New Brunswick, in Ontario, and in British North America as a whole. An original water-colour by Mary Electa Adams as well as poems written in her journal are at Mount Allison Univ. Arch. (Sackville, N.B. ), E. M. Pomeroy papers, box 11 (M. E. Adams material). A collection of her poems, From distant shores, was published in 1898 in Toronto. Victoria Univ. Library (Toronto), Helena Coleman ms coll. Mount Allison Academic Gazette (Sackville), nos.3 (June 1854)–7 (1857). Canadian Illustrated News (Hamilton, [Ont. ]), 27 June 1863. Christian Guardian, 16, 30 Nov. 1898. Globe, 7 Nov. 1898. Nathanael Burwash, The history of Victoria College (Toronto, 1927). J. G. Reid, Mount Allison University: a history, to 1963 (2v., Toronto, 1984). E. [M.] Pomeroy, “Mary Electa Adams: a pioneer educator,” OH, 41 (1949): 107–17. J. G. Reid, “The education of women at Mount Allison, 1854–1914,” Acadiensis (Fredericton), 12 (1982–83), no.2: 3–33. Marion Royce, “A landmark in Victorian education for young ladies,” Improving College and Univ. Teaching (Corvallis, Oreg. ), 23 (1975): 9–11. John G. Reid, “ADAMS, MARY ELECTA,” in Dictionary of Canadian Biography, vol. 12, University of Toronto/Université Laval, 2003–, accessed April 24, 2019, http://www.biographi.ca/en/bio/adams_mary_electa_12E.html.